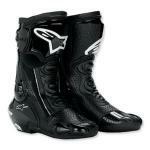 Answer's Fazer boots are not for light riding. Fashioned for the unique hazards of off-road adventures, the functionality of the design leaves them with a powerful appearance. These boots are a viable solution to keeping your accident-prone kids safe from the dangers of off-road biking. 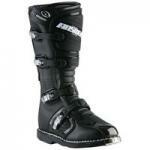 The list of features on this pair of Alpinestars Tech 6 Stella Boots will blow you away. These are not top-rated boots for nothing. This is one classy boot. The colors stand out, and the way that the calf is designed makes the shape extremely flattering to... well, to boot. Gaerne likes to make mid-priced products that throw in some really neat safety features. They don't go overboard with them, though, which keeps the price affordable for you. 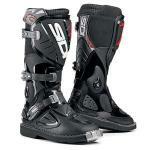 These cycle boots by Fox Racing are priced right to be an entry-level dirt bike boot. These offroading boots weigh in at five pounds, and come comfortable and pliable from the moment that you put them on for the first time. 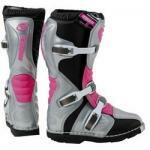 The Answer Fazer boot is an excellent choice for the entry-level motocross rider.